We made it to 10K followers on GitHub! 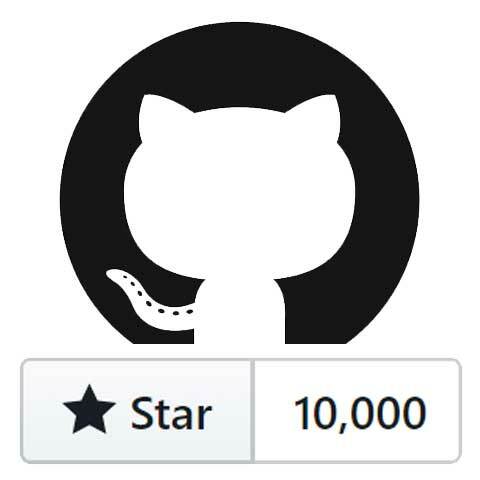 Matomo has now officially reached 10,000 stars on Github! It warms our hearts to know we’re on the right path and still getting such great support. From the team here we’d like to say thank you! Especially to all of you who have made Matomo the #1 free open source web analytics platform in the world! Today, Matomo is used on over 1.4 million websites, in over 190 countries, translated in more than 50 languages; and it’s all because of you. The most exciting part is that this is only the beginning, there is an exciting journey ahead and with your help we will continue our mission to always respect your privacy and give users full control of their data.